[January 23, 2008] The Oasis, Logan County's senior citizen center, 501 Pulaski St. in Lincoln, is open weekdays, except holidays, from 9 a.m. to 4 p.m. The center also is open on Friday and Sunday nights for table games. Dominic Dalpoas is the executive director. 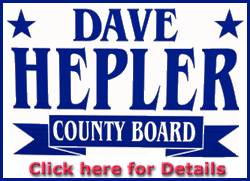 Activities are open to all Logan County senior citizens, regardless of membership. Friends of The Oasis members receive a bimonthly newsletter by mail and reduced rates for classes and trips. For more information, call 732-6132 or 732-5844. 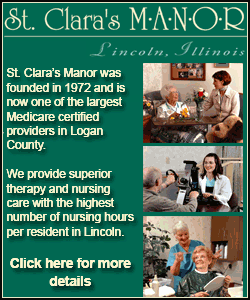 St. Clara's Manor will sponsor our bingo on Thursday. Games begin at 1 p.m. at The Oasis. There's a new time for bunco in January. Bunco games will begin at 10 a.m. on Monday. Birthday time! January birthdays will be celebrated at the senior center Monday afternoon, beginning at 1:30. Come enjoy the entertainment and cake and ice cream. The 11:30 a.m. lunch for Jan. 29 will feature vegetable beef soup, grilled cheese sandwich, chips and dessert for $3.75, or if you stay to play cards, the cost is $3.25. The deadline is noon Monday. The Tuesday night bingo special at the Lincoln Rec Center will be "Package Night." Purchase a $20 computer and get a paper package for $5. Doors open at 5:30 p.m. Early bird is 5:50 p.m. The winners for weekday pinochle were Larry Van Bibber and Mina Bradburn. Weekend pinochle winners were Pauline Boward, Linda Hughes and Harold Goodman. The five-in-one winner and rummy winner was Dorothy Oltmanns.